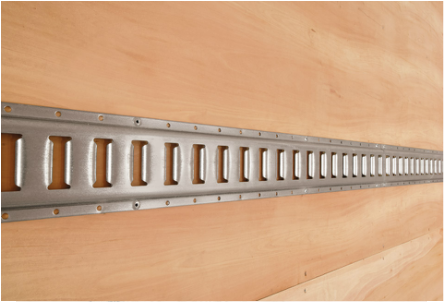 E-Track can be mounted on our Kemlite or plywood interior linings. Secure fastenings every twelve inches allow the tracks to take tremendous tension in the run of duty. Plywood interiors can be notched so the E-Track edges are covered by the edges of the plywood lining. This means the Track will have a flush surface with the plywood and allows hooks to be slotted deeper in the track with the free space behind. With mounting slots built into the interior lining, bulkheads can be installed in the box to create a split temperature environment. For instance one portion of the box could be for frozen foods and another for fresh foods, all in the same unit. 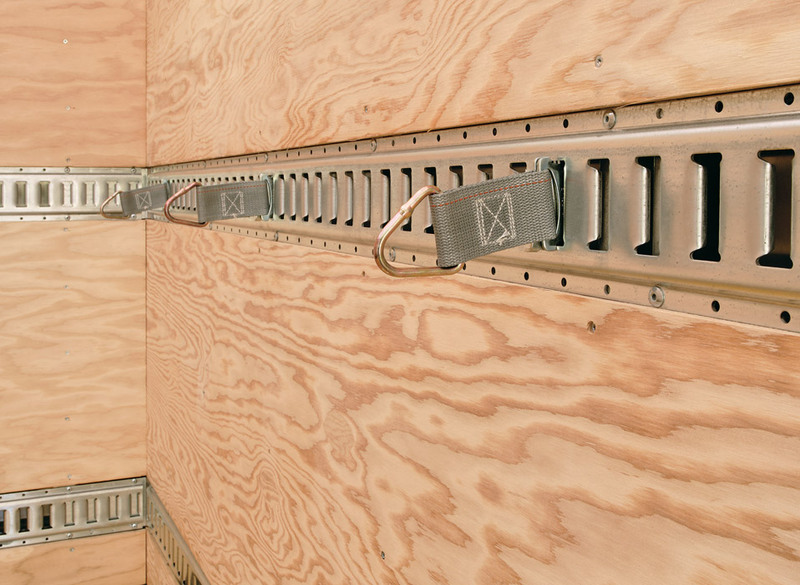 A simpler alternative to cargo tracking. 1/4" steel flat bar is installed along the Z-Posts with gaps left above and below for straps to be attached.